Record Store Gay 2016 in support of ARC! 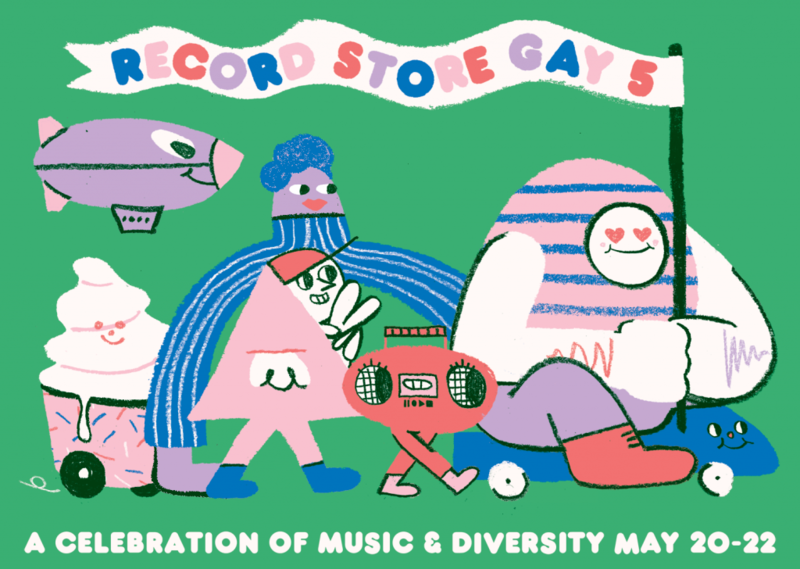 We’re delighted to announce that Record Store Gay 5 will be raising funds for the Abortion Rights Campaign over the weekend of 20th – 22nd May 2016! Record Store Gay is an annual celebration of music and diversity that is organised to coincide with International Record Store Day in April. For the last five years, it has collaborated with a ton of amazing artists to make a celebration of music and diversity. This year, it was decided to give Record Store Gay its own date and to extend the celebration not only across a whole weekend but into other towns and cities outside of Dublin, with special performances at Little Gem Records of Kildare street & Phoenix Park Bandstand. From its inception, Record Store Gay has helped raise funds for Outhouse LGBT community resource centre, and in 2015 it raised money for the YES Equality campaign. This year, the focus is on women’s rights and fundraising for the Abortion Rights Campaign. As our members know, the Abortion Rights Campaign is a movement for choice and change in Ireland, working to promote broad national support for a referendum to repeal the 8th Amendment, so that Ireland’s laws and healthcare can finally reach international best medical practice and be in line with international human rights standards. The Abortion Rights Campaign is a grassroots campaign, run entirely by volunteers and funded by donations and fundraising events. We are delighted to be chosen as the beneficiaries of the money raised. We know that abortion access is important to people and is seen as the next big social movement towards equality. Events like this help break down the silence and stigma around abortion and allow us to celebrate being pro-choice together.